I have been blessed with fast growing hair. Maybe it's my genes, maybe it's the biotin supplement I take, maybe it's Maybelline :). Whatever the case, I decided a while back that I would try and use this as a way to bless others. I have donated my hair multiple times now (I'd probably say 5 or 6 times). Every year and a half or two I have enough length that I can chop it off and donate it to those in need. I measured my hair a couple weeks ago and noticed that it was long enough (depending on the organization you choose to donate your hair to, the minimum donation will range anywhere from 8 to 12 inches). I decided I'd wait until after the St. George Marathon so that I wouldn't have to worry about my hair being too short to fit into a decent ponytail for my goal race (one less thing to freak out about the better, right?!). In the past, I have donated my hair to different organizations - Locks of Love, Pantene Beautiful Lengths, etc. When I posted on social media that I was getting ready to make the cut again I heard a lot of great things about Children with Hair Loss. I checked out their site, saw that they were located in Michigan (which you know I LOVE), read that they don't charge their clients for wigs (like some of the organizations do) and knew right away that this was where my hair needed to be sent. CWHL opened in September 2000. After researching, they couldn’t find any other organizations that were giving human hair replacements to children at no cost. CWHL’s mission and goals were to never charge a family at a time when they need the most help. After years of intense fund raising, CWHL was able to purchase their first building in 2005. The headquarters resides in South Rockwood, Michigan in an old renovated fire station. Originally, CWHL’s focus was on children fighting cancer, until we found out that there were a lot of other reasons why children lost hair including Alopecia, burns, Trichotillomania and other rare diseases and disorders. To this day, Children with Hair Loss has never charged a child. Currently, they provide a customized human hair replacement and care kit to over 300 children a year. 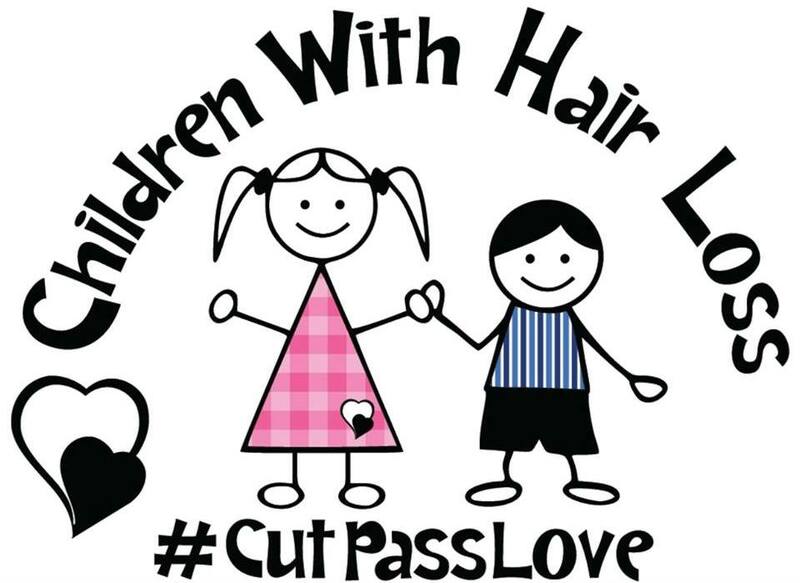 Children with Hair Loss was created as a resource for ALL CHILDREN who have medically-related hair loss. It is their mission to empower these children to become whole again by making hair replacement available to those who may be financially challenged and might otherwise not have a means of obtaining the hair they want and need. They want to assist as many of these children as possible in changing their lives by improving their outlook and empowering them with a degree of self-confidence that will allow them to face the world with renewed self-esteem. It's sort of funny, I prefer my hair longer and the hubby prefers my hair shorter, but preference doesn't matter when it comes to being able to help those in need. PS I am NOT posting this as a way to boast or to get a pat on the back - I wanted to share this because often times we think of helping others by donating our time or our money, but this is yet another great way to #DoGood. 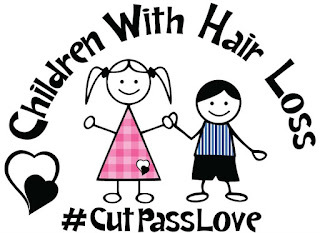 I totally understand if this isn't something you feel called to do (or can even physically do), but in case you were thinking of cutting your hair soon and have about 8 inches (which is the minimum donation length for Children with Hair Loss), I thought I'd give you a little nudge and suggest making the cut and giving back in the process. Have you ever donated your hair before? Yes, right after I was diagnosed! Wow - you are such an inspiration for doing this!!! Its a great cause and of course you get a humble brag - you're cutting your hair for charity!! This is great ! So inspiring !!! Thanks for sharing! This is amazing! Good for you! Your new short hair is cute! Wish my hair grew as fast as yours! I work for a children's hair salon, and I am fortunate to be a part of some of those hair cuts! It's amazing when a 7 year old tells me she wants to donate!! I'm glad I read your blog! I will add this organization to the list at work! We always try to encourage to donate to a organization that does not charge the family!!! ♡ oh, I'm really digging the short hair!! What an amazing cause! I love your new short hair as well, looks great. I think it's awesome that you're doing this! I've never been able to because my hair has been dyed a bajillion times since I was 15 years old, so it's never been "pure" enough to donate. My mom got to, though! Such an amazing feeling knowing you're doing so much good just by getting a haircut! yes, I have done this several times...i love it! I think you look great both ways!